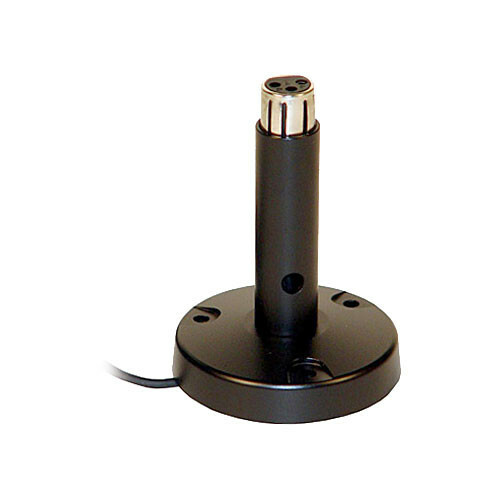 The FML-1A Flange Mount for Gooseneck Microphones from CAD is a stem-mount flange piece with a female XLR connector. It is designed to support most gooseneck microphones terminated with a 3-pin male XLR connector. It also includes a 6' balanced audio cable terminating in stripped and tined ends. This unit is designed to work with any mini condenser gooseneck microphone or other similar microphones and attachments with an XLR type connector. Use this flange mount to support your XLR microphone. Box Dimensions (LxWxH) 5.75 x 5.0 x 2.6"
FML-1A Flange Mount for Gooseneck Microphones is rated 5.0 out of 5 by 1. Rated 5 out of 5 by David from Exactly what I needed Thanks to B&H I was able to find just what I needed to install the condenser mike on our lectern. Easy and uncomplicated installation. Must know how to use a soldering iron, however.